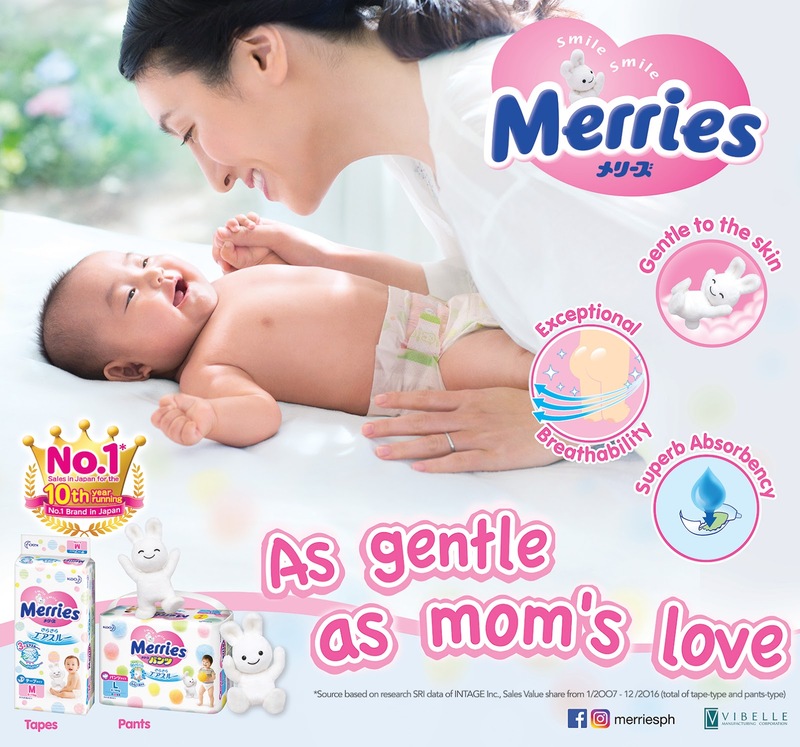 Mommy Tots: Why Do Smart Moms Choose Merries Diapers? Why Do Smart Moms Choose Merries Diapers? Finding the perfect diaper for your baby's needs can be a frustrating – and sometimes painful process, as a wrong choice can lead to your baby's discomfort, leakages, and even health concerns. Babies’ skin has only about ½ the thickness of adults' and is very delicate, which is why they need a diaper thatprovides extra care and comfort. 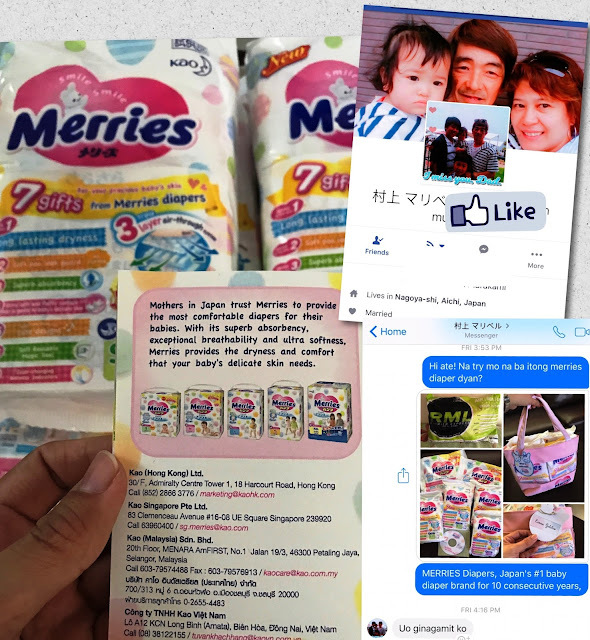 It's a good thing that Merries Diapers, Japan's #1 baby diaper brand for 10consecutive years, are now available in the Philippines! Last week, I received a sample pack from Merries for review. Unfortunately, they don't carry XXL size of diaper here in the Philippines. The biggest size that was sent to me was Medium, so I never get to try it on my 3 year old daughter. I was curious to see its quality, so I opened this one to check out if it can truly gives exceptional breathability. True enough, it has pluffy surface and I can easily tell that it was made of highest quality material that can provide gentle care for baby's delicate skin. I just take a quick look and put it back to its packaging because I will send it to a friend for his 3mos. old baby and so I can ask for honest feedback. Plus, I asked a close friend living in Nagoya-shi Aichi Japan, if she's familiar with the brand. I was surprised to know that its their trusted brand for their baby. Well, with that I can say that this brand is worth the try to see if you can depend on its strong absorbency and offers comfort that your baby needs. It's a bit pricey compared to other brand, but that's how it goes! Items of highest quality doesn't come cheap. Sayang naman, you were not able to try the product. But good thing you know someone who can try it for you. There are so many diapers in the market, when I still have a baby, I always look for quality and budget friendly diaper. I was given a blogger mail of this product - and since my little boy no longer needs diaper, i gave it to a friend. She said it was a nice diaper, and she was actually thinking of using it... until we saw the price. It's quite pricey no? But with quality comes the price talaga. I'm glad maaga nag stop ang anak ko sa diaper, laking ginhawa, lol. Pero if he is still using it, I would've loved for him to try it out. Mukhang maganda nga. Sayang if you were able to try the product. But at least you were able to share the blessing to others. It's all that matters anyway. I can be real bias. But I always perceive products made in Japan as exceptionally of good quality. No doubt Merries is no exception. I haven't use this diaper but I think the quality of Merries diaper is good I would love to try this if ever na magbuntis ako. 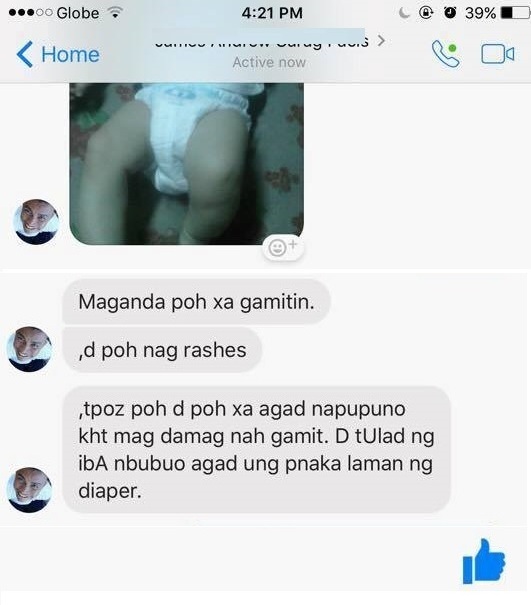 Masilan kasi ang Anak ko pagdating sa diaper. 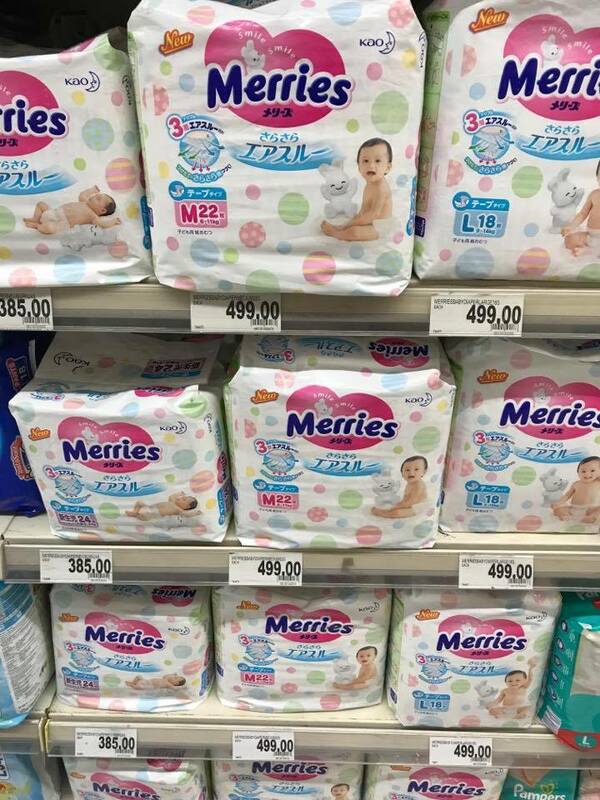 I haven't tried this new Merries Diaper, just I've been seeing it on Instagram. One thing that I considered in choosing diaper for my daughter is the breathability and soft surface of the diaper. Gottat give this a try. However, it is better to prevent the spread of foul odor at the primary place by disposing of a used adult diaper properly.